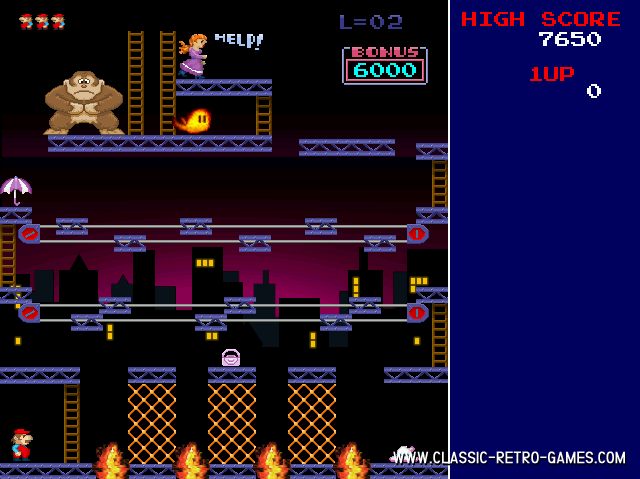 Another great remake by AC is Donkey Kong Craze. This remake is of the well known arcade classic by Nintendo. 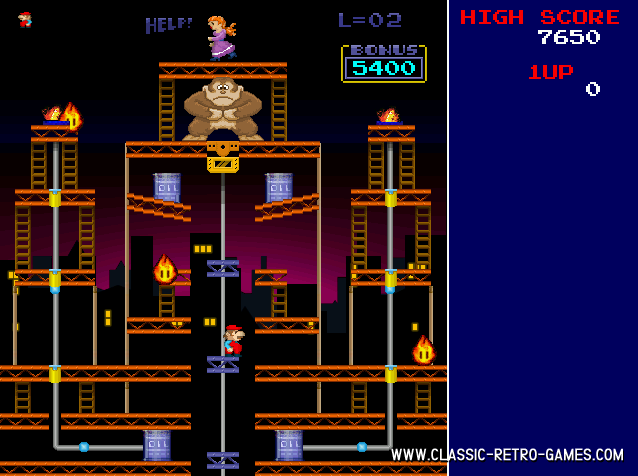 In this remake you may choose to play the original classic or the succesor Donkey Kong 2. 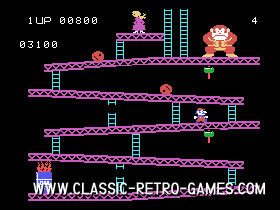 Nintendo still releases Donkey Kong games for new consoles like WII, but we like the old retro games. 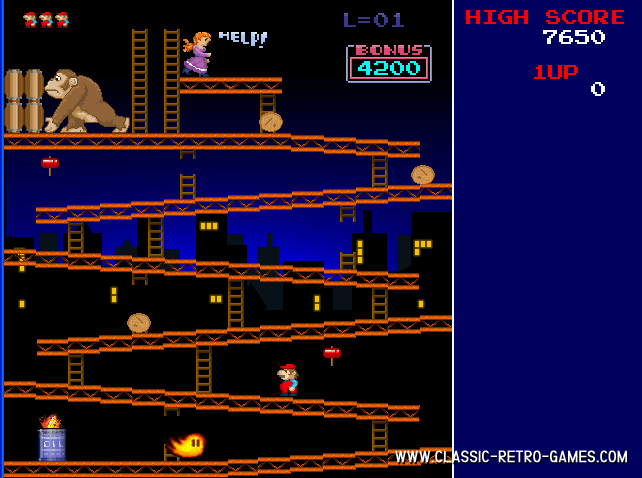 So enjoy this free windows remake of Donkey Kong! Download and play! Currently rated: 4.9 / 5 stars by 243 gamers.